A new season of contemporary arts events at the Brontë Parsonage Museum launches in October, which will see six months of readings, workshops and activities taking place in Haworth. The season will continue with a range of activities to support the exhibition of paper-cut installations by artist Su Blackwell, on display in the museum until 28 November. Su will visit the museum to talk about her work on Thursday 21 October, 7.30pm. There will also be the chance to try paper-cutting techniques at a creative day at the museum on Saturday 23 October. On Saturday 30 October, artist Tracey Bush will lead a practical workshop to create your own detailed paper-cut pieces. Local artist Rachel Lee will run a workshop for children during the half term holidays, on Wednesday 27 October, showing them how to create paper landscapes inspired by the exhibition. Other authors taking part in the programme are Brontë biographer Juliet Barker, whose landmark book The Brontës will be revised and reissued in November, and former West Yorkshire crime-writer Sophie Hannah who will be making the trip to Haworth to discuss her upcoming new book Lasting Damage in the New Year. 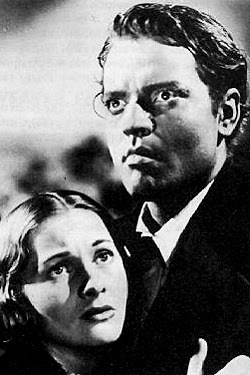 There will also be the special opportunity to watch the 1944 Hollywood version of Jane Eyre on the big screen in Haworth on Friday 18 February, 2011, to celebrate the museum’s recent acquisition of the original screenplay by Aldous Huxley. The film stars Orson Welles and Joan Fontaine - pictured below. Katrina Naomi, the first Writer in Residence at the Parsonage, read first on Saturday evening (18 September), mainly from The Girl with the Cactus Handshake. 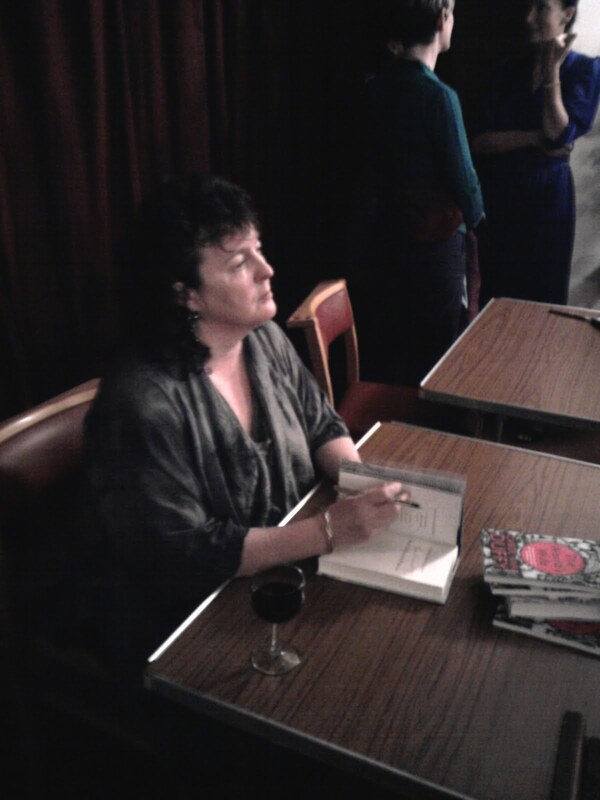 She was powerful, in spite of being a touch nervous I think, performing just before the Poet Laureate, Carol Ann Duffy. I was most impressed by Tunnel of Love, probably because I have my own strong childhood memories of her home town of Margate with its fascinating shell grotto and its now abandoned amusement centre for holidaying East Enders, Dreamland. Her teenage memories of the place and its hypnotic tawdriness were conveyed in a confessional and amusing style, making her an excellent lead-in for the dryly humorous Duffy. We laughed with her: she was as confident as a stand-up, beginning with Mrs Midas and Mrs Tiresias, explaining how she had been troubled by the ancient stories when she had first read them at an early age and how productive it still was to mine Ovid's Metamorphoses, an endlessly glittering seam. At one point she sneezed, and muttered something about just missing a Bible. She can't read often from behind a lectern in a Baptist church, surely. My hope was that she would read Education for Leisure, which in 2008 was removed from a GCSE English Literature Anthology presumably because some numbskulls thought it might encourage knife crime, but she didn't. I would have preferred that to her bee poems. Unlike so many actors, she can shrug off the personas (queens, babies, burglars, frustrated teenagers...) and speak from her own core, as she proved with her deeply moving poetry about her mother. The bow at the end was by both performers, linked. An important and moving letter written by Charlotte Brontë has returned to Haworth and will go on display for the very first time at the Brontë Parsonage Museum. The black-bordered letter was written to William Smith Williams, the sympathetic reader at her publishers. It was part of the James L. Copley Library, based in California, and was purchased by the Brontë Society at Sotheby’s in New York earlier this year. The letter will go on display at the museum this week until the end of the year. The first Brontë Festival of Women’s Writing will take place in Haworth later this month, with a headline reading by the poet laureate, Carol Ann Duffy. The festival has been organised by the Brontë Parsonage Museumas part of its contemporary arts programme, with support from Arts Council England, and will take place at various venues in Haworth from Friday 17 – Sunday 19 September 2010. The festival weekend will be opened with a reading by novelist Kate Mosse, on the evening of Friday 17 September. Kate Mosse is best known for her international bestseller Labyrinth, which has been published in forty countries and won the ‘Richard and Judy’s Best Read’ award in 2006. On the morning of Saturday 18 September, recent writer in residence at the museum Katrina Naomi will lead a poetry workshop. Participants will accompany Katrina to the museum collections where they will see some of the items not out on public display. They will then be invited to create new poems inspired by their visit. Carol Ann Duffy, poet laureate, will visit Haworth on Saturday 18 September at 7.30pm to read from her work. 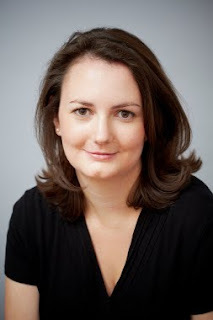 On the afternoon of Sunday 19 September, writer Daisy Hay (pictured) will speak about her book Young Romantics, which explores the lives of the Romantic poets, including Byron and Shelley, and the dazzling circle of women writers and thinkers that they moved in. The weekend will also include a variety of drop-in events and activities for families, including a poetry trail around Haworth, storytelling and informal readings by local poets. The Brontës were pioneering writers, at a time when very few women got published. The success of their novels changed the way that women writers were perceived and the festival will celebrate their incredible legacy, by showcasing the work of high profile and emerging contemporary women writers. When Charlotte Brontë wrote to the Poet Laureate Robert Southey for advice in 1837, she was told that ‘writing cannot be the business of a woman’s life, and ought not to be’. She would be delighted that Carol Ann Duffy, the first female in the role, will read at the very first Brontë Festival of Women’s Writing. We hope the festival will become an annual showcase of the quality of writing by women in the region and across the UK.